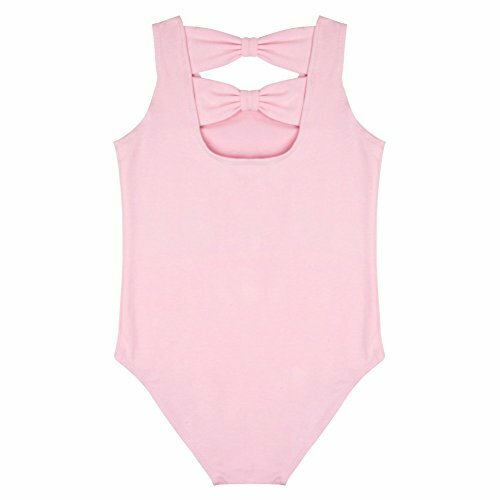 Liakada Girls Basic Tank Top Dance, Gym, Yoga, Cheer! Get ready to dance! Find your favorite tank top in four great colors. Made of a super smooth and stretchy fabric, this tank won't get in the way of the perfect performance! SIZE Please check the size chart in the sixth picture, it will be the most correct size of clothes Note Hand wash, when using detergent, the water temperature is best controlled below 40 C, after washing, pay attention to cool in the shade, use a flat or round hanger to dry, not exposed to the sun, can not be dryer. 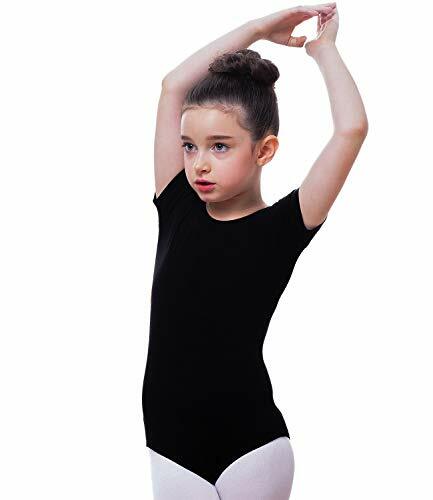 Packing leotard*1 You should always pay attention to maintenance, so that the service life of clothes will be longer! Our cotton top is a cross genre belly dance raqs wear item. This works with Gothic belly dance, fusion, flamenco and much more. Top comes in ten colors, crosses the chest and ties in the back. 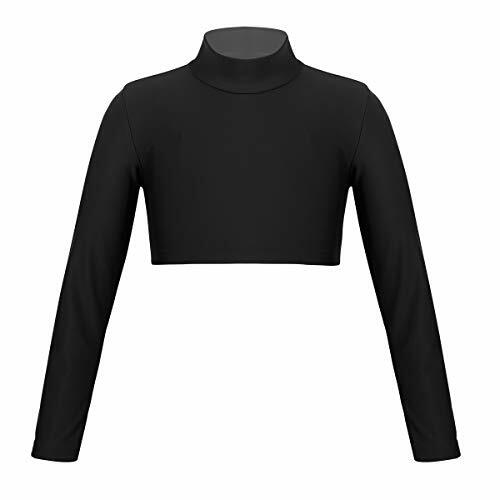 *** This is a great top for Belly dance class or performance! The versatile style is as bold as you wear it. 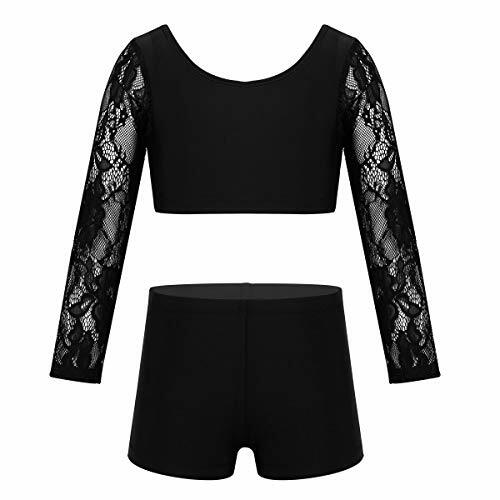 *** Made of Jacquard lace, breathable and close-fitting,100% new released and fashionable. 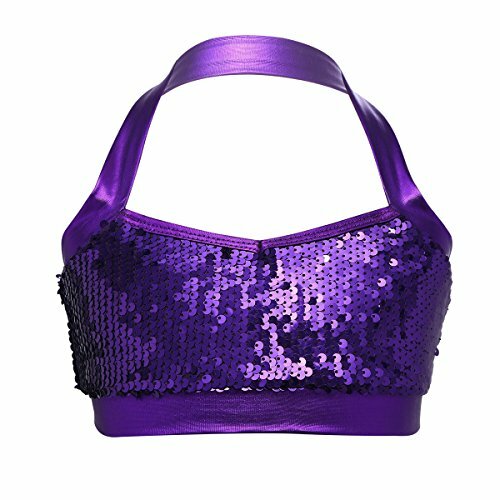 *** Wear it over your favorite bra or with other belly dance costume! *** The top ties around in the back or either in the front for a comfortable fit and different look. The classic tank is longer in length and features a cotton rib that's combed for softness. 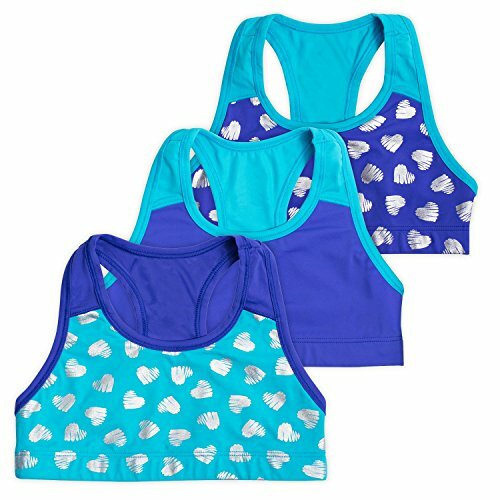 Liakada Girls Stylish & Supportive Basic Sports Bra with Integrated Bra Shelf Liner Dance, Gym, Yoga, Cheer! Get ready to dance! Find your favorite Sports Bra in 5 Great colors. Made of a super smooth and stretchy fabric, this bra won't get in the way of the perfect performance! 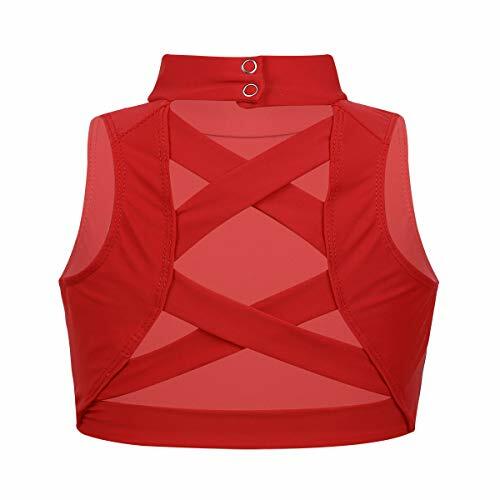 if your little one is a ball of energy, the Layla Racerback Crop will match her exuberance with style and flair. 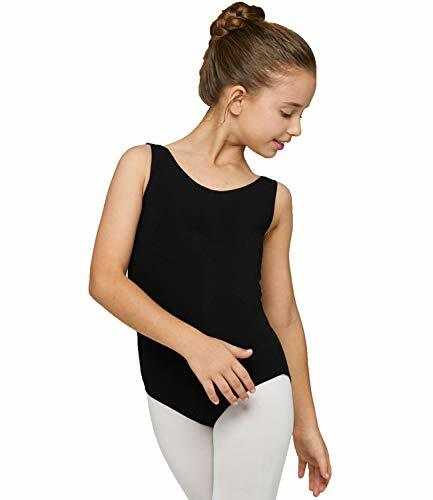 A classic racerback design and super stretchy blended fabric allow for free and easy movement whether she's dancing, tumbling, or simply playing. She can opt to wear it solo, layered under a top, or perfectly matched with the Layla Dance Shorts. Vibrant colors and foil prints also give her lots of options. 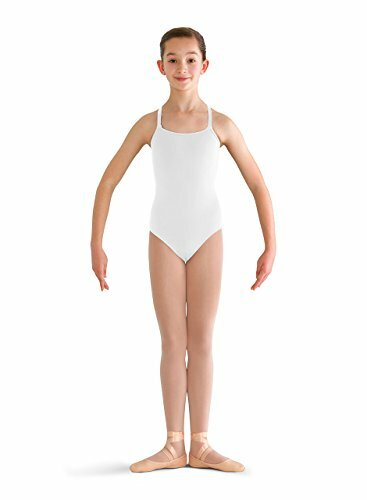 Liakada Girls Supportive Braided Tank Top with Integrated Bra Shelf Liner Dance, Gym, Yoga, Cheer! Meet the braided tank. It's strappy and supportive. This padded sports tank features a scoop neck in front and braided straps in the back, feel supported while running, dancing, or leaping! 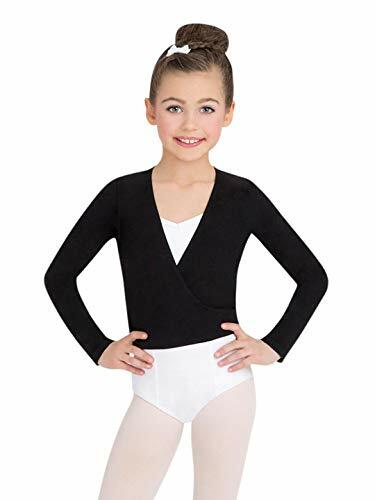 Girl's high quality microlux fabric camisole leotard with scoop front and back and center back seem is a great fit. 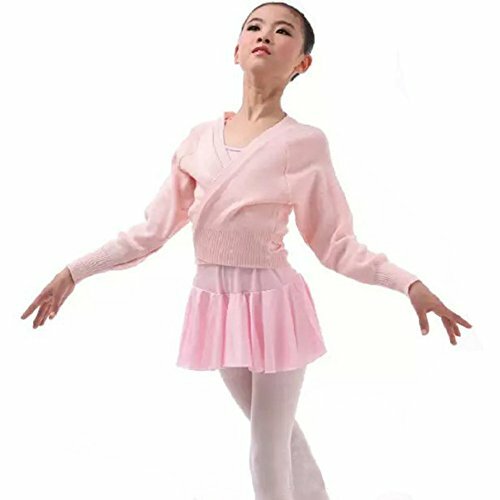 Girls Ballet Dance Warm-up Knit Wrap Sweater, long sleeves. Edge finished with tie closure for an in-position secure. Small hole at the left side seam for belt to thread through. Rib construction at cuffs and waistband. 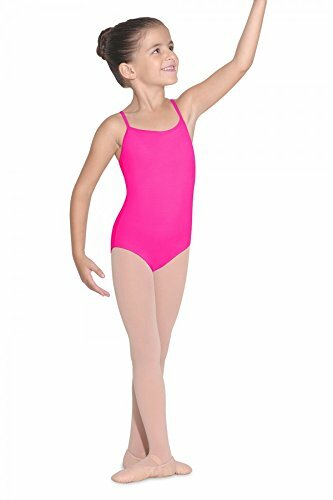 Perfect for dance, skating, gymnastic, everyday, etc. 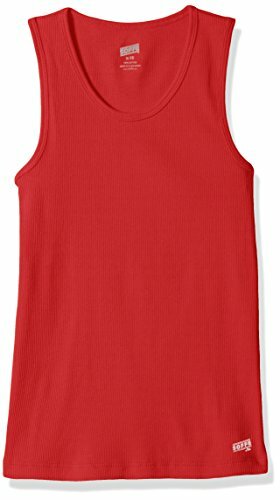 Liakada Girls Basic Tank Top – Dance, Gym, Yoga, Cheer!